Different people possess different skills when it comes to rifle shooting. Some shooters are highly skilled, others know how to use their rifles, and then there are those that have no idea what to do with a gun. Regardless of skills, rifle shooting may be difficult for most shooters even for those who have used the rifle over a long time. Therefore, it is prudent that you keep practicing your shooting skills. Listed below are some shooting tips to help you better your skills. Having a stable body position is key to good rifle shooting skills. The more stable your body position is, the easier it is for you to hold your rifle still and control the trigger. To achieve a solid shooting stance, you need to practice it consistently. This means that you need to adopt the same body position every time you take a shot. Always ensure that the rest of your body is as far behind the gun as possible. Also, make sure that most parts of your body such as your hands, shoulders, feet and hips, are facing your target. Ensure that your lower body conforms to the ground while your upper body controls the rifle. In order to shoot directly at your mark, you need to have a firm grip on your gun. A loose grip usually results in your rounds flying aimlessly off your target. For a solid grip, ensure that you hold your gun as high as you can. If you do not do this, the recoil of your rifle may kick it up making you miss your mark. In addition, remove the elbow from the equation by rotating your arm out to the side. This will enable you to drive the gun in the direction you desire. Placing your gun on a rifle bipod or a shooting rest is another efficient way to achieve an accurate shot. A sight is a device on the rifle that is used to aim the gun. The sight indicates what the rifle is pointing. A properly aligned sight will give you the exact position the gun will shoot the bullet when fired. A rifle bipod may also come in handy when you want to sight in by providing a stable rest for your gun. It is prudent that you know how to create the perfect sight picture. Below are the basics. · At arm's length, firmly grip the gun. · Ensure the top of the rear and front sights are on the same level. 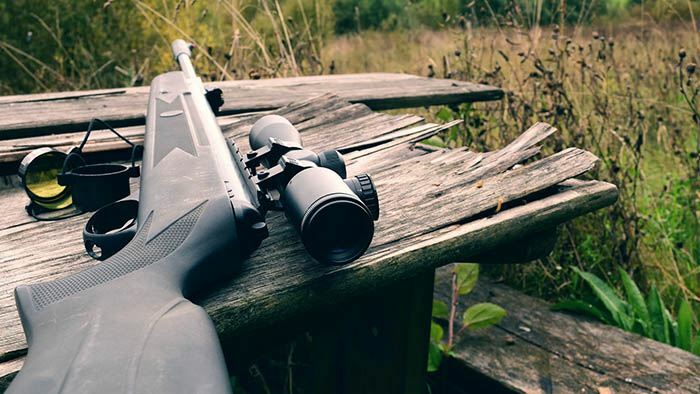 · Once the sights are properly aligned, place the sight on your target and shoot. As we all know, practice makes perfect. Whatever position you adopt, keep practicing until you master your skill. Ensure that you run as much ammo through your gun as you can. The only way to better your shooting skills is through practice. Since ammunition is expensive, you can practice using dry firing. Dry firing is just as valuable as live-fire when practicing your shooting skills. Ensure that when practicing, you give each shot your best effort. Remember that bad shots while practicing will eventually lead to bad shots in real life situations. Also, insist on consistency in your shooting practices. Although most times this tip is overlooked, the secret to good shooting skills is knowing when to pull the trigger. 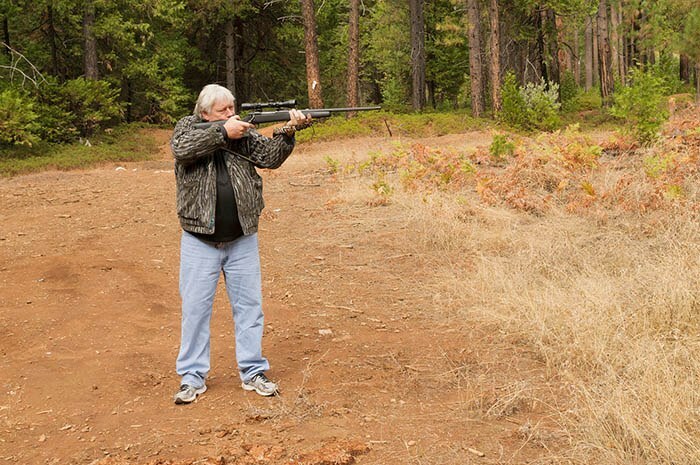 This tip is especially important in shooting scenarios where making a bad shot at an animal is inexcusable since it will only leave it wounded. Your aim should be to make a calculated bull's eye shot and not to spray bullets all over an animal. Before making that shot, calculate your move first. Get closer if you have to. Get a better shooting rest if that will assure you the best chance, but do not pull the trigger if you are not sure you can make the shot. You may do everything correctly but still miss a shot if you do not follow through after a shot. Follow-through, in simple terms, means that you hold on to your shooting body position after firing your rifle. Contrary to this, all your efforts will be of no use since you will not hit the target. Sometimes, even with your entire rifle shooting prowess, you may find that you are unable to hit the target. A good cleaning may be all your gun requires in achieving that perfect bull's eye shot. Ensure consistency in your breathing so that you fire when your breathing muscles are relaxed to hit your target. Strive to make each shot count by practicing as regularly as you can. The moment you make that first shot count, it should be the beginning of many more rewarding steps in your shooting experience. Kevin Steffey is an avid hunter and freelance writer, the founder of Deer Hunting Field. He loves spending time in the field with his rifle more than almost anything else. He also occupies his off-time discussing deer and their habits online. But more than anything, he wants to teach and educate about hunting. add your two and a half cents below.